A cupola is a small structure, enclosed but with openings, placed on the top of a building's roof or dome. Originally, the cupola (pronounced KYOO-pa-la, with the accent on the first syllable) was functional. Historically, cupolas were used to ventilate and provide natural light for the structure underneath it. Often it became a town's identifier, a vehicle to enclose a town's bell or display a common clock or flag. As such, it was also a good lookout, a high look-out post used by a sentry or other watchful person. Explore the many functions of the cupola in history and these photos. Architectural historian G. E. Kidder Smith defines a cupola as a "domed accent on a roof with either round or polygonal base." Many others suggest that cupolas can be round, square, or multi-sided. In some cases, the entire main roof of a tower or spire may be called a cupola. More frequently, however, the cupola is a smaller structure that sets on top of the main roof. Architect John Milnes Baker describes a cupola as "a small turretlike structure projecting above a building's roof." A good example of the cupola in American architectural history is the one atop Faneuil Hall in Boston, Massachusetts. Called "the cradle of liberty" by the National Park Service, Faneuil Hall has been a gathering place for colonists since 1742. A cupola can have a dome and a dome can have a cupola, but neither is required. A dome is considered to be a roof and structural part of a building. A common understanding is that a cupola is an architectural detail that can be moved, removed, or exchanged. For example, the cupola on the roof of the 1742 Faneuil Hall used to be in the center but it was moved to the end when the Hall was renovated in 1899 — steel beams were added to the structure and the cupola was replaced with sheet steel. Sometimes you can reach the cupola by climbing a stairway inside the building. This type of cupola is often called a belvedere or a widow's walk. Some cupolas, called lanterns, have small windows that illuminate the areas below. Lantern type cupolas often are found atop domed roofs. Today a cupola is mostly an ornamental architectural detail, often with the singular function of holding a flag, religious symbol (e.g., cross), weather vane, or other finial. Functional or decorative, the cupola needs regular maintenance, repair, and sometimes replacement because of its position — it is exposed to all weather all year long. The word cupola is an Italian word from the Renaissance, a time in architectural history when ornamentation, domes, and columns defined a rebirth of Greek and Roman building designs The word is from the Latin cupula, meaning a kind of cup or tub. Sometimes these cupolas look like tubs along a roofline. In the United States, cupolas are often found on Italianate houses and as a defining characteristic of neotraditional architecture. A cupola is a common site on 19th and 20th century public buildings in city centers, like the Pioneer Courthouse in Portland, Oregon. Explore this gallery of elaborate famous cupolas, simple cupolas for modest buildings, and the addition to the International Space Station (ISS), of all places. In short, the cupola is simply a great idea. These small structures perch beautifully atop larger structures. Cupolas started out being functional — you might even call them green architecture. Their intent was to provide natural light, passive cooling through ventilation, and unobstructed views of surrounding areas. The grand cupola on the antebellum Longwood estate in Natchez, Mississippi served all these purposes. Some contemporary buildings also have functional, energy-saving cupolas. Cupolas could be called "old wine in new bottles." Unfortunately, most of the cupolas you buy at "big box" stores are only ornamental architectural details. Some people would even question their decorative properties. Filippo Brunelleschi (1377-1446) stunned the Western world when his self-supporting brick dome did not fall down. 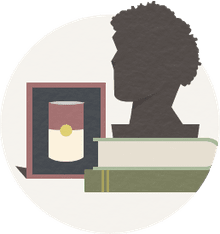 To top off the cathedral roof in Florence, Italy, he designed what became known as a cupola, or lantern, to naturally illuminate the interior — and the cupola didn't fall down, either! The cupola does not make the dome stand up, yet Brunelleschi's cupola is functional as a lighting source. He could have just as easily bricked in the top of the dome — actually that might have been an easier solution. But often the easy solution is not the best resolution. The Sheldonian Theatre in Oxford, UK was constructed between 1664 and 1669. A young Christopher Wren (1632-1723) designed this secular ceremonial hall for the University of Oxford. Like Brunelleschi before him, Wren was obsessed with building a self-sustaining roof, without timber beams or columns. Even today, the roof of the Sheldonian Theatre is analyzed and studied by mathematics geeks. But the cupola is not part of the roof architecture. The roof could stand without the top turret. Why then do tourists pay an admission to climb the many stairs to the cupola atop the Sheldonian Theatre? For the panoramic view of Oxford, England! If you can't go in person, watch it on YouTube. Our word cupola derives from the Italian word used to mean dome. Some designers, architects, and engineers still use the word with this meaning. Yet the Latin cupula is more descriptive of a cup-like structure, which is not part of the architectural roof or dome. Why the confusion? When the capital of the Roman Empire moved to a part of Turkey known as Byzantium, Western architecture adopted many of the practices and designs of the Middle East. From Byzantine architecture of the 6th century to this day, engineering and design is guided by local influences. The bâdgir or windcatcher is an ancient technique of ventilation and cooling, still found in many remote regions of the Middle East. Homes could be built in hot, dusty areas such as present day Iran, but life is more comfortable with these ancient "air conditioners." Perhaps the Romans took this good idea and made it their own — not so much the birth of the cupola, but its evolution. Is a Cupola a Bell Tower? A bell tower or campanile is usually its own structure. A cupola is a detail on a structure. Is a Cupola a Steeple? Although a cupola may hold a bell, it is not large enough to hold many bells. A cupola is not as lofty as a steeple, nor is it a structural part of a building. Is a Cupola a Minaret? A mosque's minaret, as well as the Persian badgir or windcatcher, may have inspired western architecture's cupola. Today's cupolas in the US are often found on buildings peripheral to the home. They can be found on barns throughout New England, and as ornamental traditions on many garages and sheds. They are not often found on the homes of the middle class. As more homes are constructed using experimental "green" methods, the functional cupola has made a come-back. 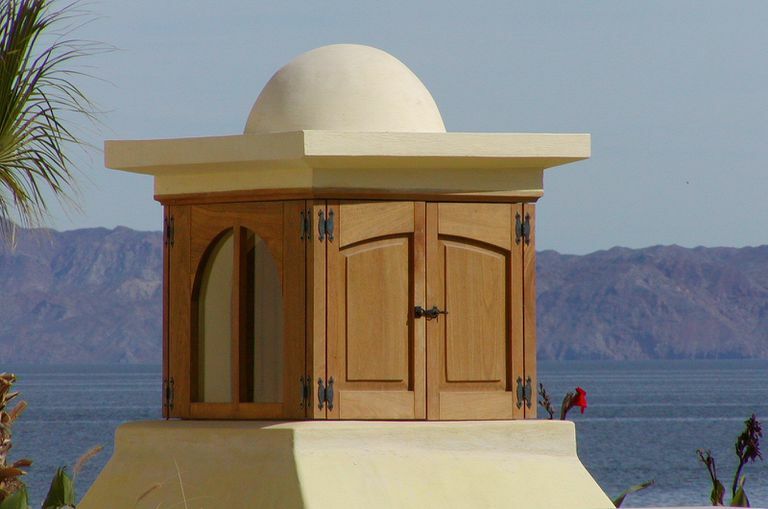 The architects and developers of the Villages of Loreto Bay, Mexico incorporated the cupola in their earth block house design. The planned town of Celebration, Florida creates the image of American tradition by using traditional architectural details. Likewise, the straw bale home in Texas shown here is no doubt kept cool by the ventilation of its cupola. Many of today's cupolas are simply ornamental. That decoration, however, sends a message to the onlooker. Just ask the developer who uses neotraditional architecture for the newest suburban strip mall. Shown here is a cupola added to the 1802 Assembly Room building in Salisbury, United Kingdom. When the stationer WH Smith and Son bought the structure in the 1920s, remodeling included adding the cupola. The clock numbers and weathervane newsboy are from that era and still advertise the company. Will the cupola break through the roof and be functional to living spaces beneath? Will the cupola be multi-functional or only decorative? Would an attic serve cooling needs better than a cupola? Does the design of the cupola fit with the architecture of the house? Will the materials used to construct the cupola fit with the house's construction materials? Is the scale of the cupola in line with the rest of the house? Would a cupola give your home curb appeal? You decide. You can buy cupolas on Amazon. Cupolas are "things" that can be prefabricated offsite and then moved into place atop a structure — like the cupola shown here being hoisted to the top of a reconstructed Dresden Frauenkirche. Cupolas can be custom-designed, custom-made, and custom-installed. For the "do-it-yourself," ready-made decorative cupolas can be purchased in several shapes, sizes, and materials — even on Amazon. If you want functionality, you'll have to put a roof vent inside these decorative imitations. The ultimate custom-made cupola may be the one attached to the International Space Station (ISS). Made in Italy, the Cupola Observational Module, as the scientists call it, is not quite like a modern glass house, but it does have windows all around its 9.8-foot diameter. Its purpose, like many cupolas before it, is for unimpeded observation. It is attached far enough away from the body of the space station that an observer can get a good look at space walkers, movements of the robotic arm, and panoramic views of Earth and the rest of the Universe. The space cupola module is not yet available on Amazon, but stay tuned.